Our main branch in Sudbury is open on Saturday for appointments and collection of medication and the branches are linked for full access to your pet's history. This number is for emergencies only, for general enquiries and appointments please contact your local branch. 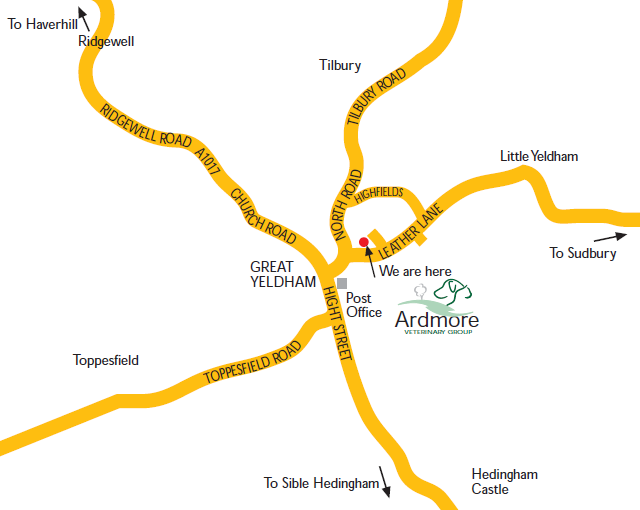 Our branch practice in Bridge Street, Great Yeldham was formally opened by Mr Eric Taylor on 5th July 2004. 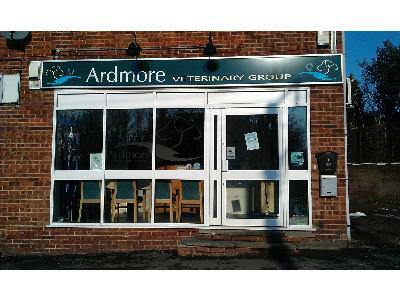 Providing veterinary services to the surrounding villages, the branch has fully equipped theatre, kennels and consulting rooms. Coming from Sudbury, the practice is the first buiding in a row of shops on the right hand side of Bridge Street, the doctors being at the other end of the shops. Coming from Halstead or Haverhill direction the practice is off the main road, then the first turing on the right is Bridge Street. We are the last building in the row of shops on the left hand side.